The Monster Energy NASCAR Cup Series heads to Richmond (Va.) Raceway this weekend for the ninth race of the season. 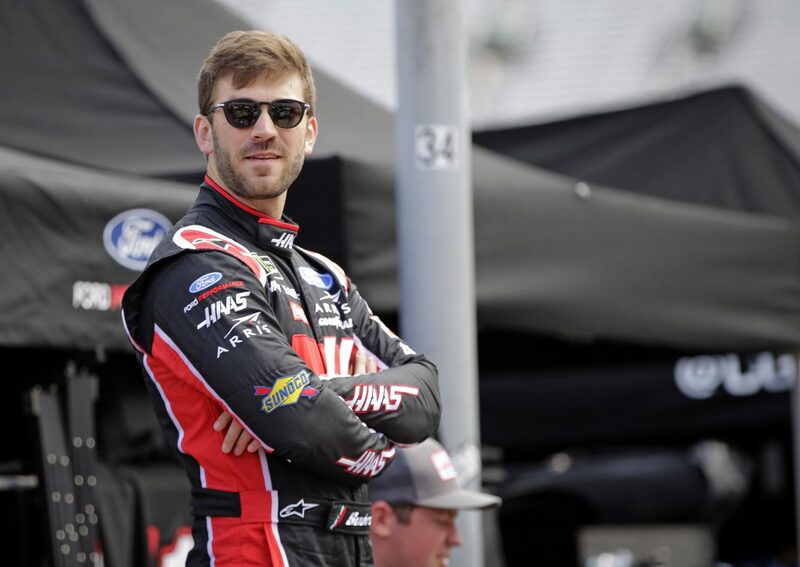 Daniel Suárez will pilot the red-and-black No. 41 Haas Automation Mustang for Stewart-Haas Racing (SHR) in this weekend’s event at the track located approximately two hours south of our nation’s capital, Washington D.C. The Cup Series goes to its second consecutive short track this weekend at Richmond. Suárez survived last weekend’s event on the Bristol (Tenn.) Motor Speedway half-mile oval after overcoming three pit-road penalties, which put him one lap down. The 27-year-old battled his way back to the lead lap and earned an eighth-place finish after running as high as third. Bristol’s result has allowed Suárez to put together a trio of top-10 finishes this season. At Richmond, the Mexico native has four career Cup Series starts with two top-10 finishes. Overall, Suárez has an average starting position of 22.8 there and an average finishing position of 11.5, and has completed 99.9 percent of all possible laps. While the track has completed a multi-million-dollar facility makeover, including a renovated infield, the .75-mile oval remains one of the most action-packed venues each season. Suárez is knocking on the door of his first Cup Series win. Curtis Turner in 1949 was the last driver to earn his first win while wheeling a car adorned with the No. 41. This weekend also offers an added sense of optimism in the SHR camp as, last year, an SHR driver won the race before each of the three off weekends. After this weekend’s action at Richmond, Suárez will head back home to his native country of Mexico to enjoy some time off before the Cup Series returns April 28 at Talladega (Ala.) Superspeedway. The solid finish at Bristol moved the Haas driver up to 12th in the point standings to round out the four-car SHR contingent. The top 16 drivers after the 26 regular-season races will earn a spot in the NASCAR playoffs. Haas Automation, founded in 1983 by SHR co-owner Gene Haas, is America’s leading builder of CNC machine tools. The company manufactures a complete line of vertical and horizontal machining centers, turning centers and rotary tables and indexers. All Haas products are constructed in the company’s 1.1-million-square-foot manufacturing facility in Oxnard, California, and distributed through a worldwide network of Haas Factory Outlets. This weekend marks the sixth time Suárez has piloted the Haas Automation scheme. In the NASCAR Xfinity Series at Richmond, Suárez has six starts with one top-five finish and three top-10s. He’s amassed an average starting position of 8.3 and an average finishing position of 11.7. Additionally, Suárez has four Richmond starts from 2011 to 2014 in the NASCAR K&N Pro Series East with a best finish of 20th in 2011. Ford has captured three victories in the first eight races this season. The new Cup Series Mustang also has four pole awards, two of those by Suárez’s SHR teammates Aric Almirola and Kevin Harvick. SHR has one win as an organization at Richmond with former SHR driver Kurt Busch capturing the victory in April 2015. SHR is a special culture and you’ve gained a lot of confidence. Why? It seems like the chemistry between you and Billy Scott has really come together quickly? Why do you think that is? If there is one driver at SHR who is your brother from another mother, who would it be?